I have been riding motorcycles my whole adult life (pretty long time) and I learned more in one day with Motovid then I did all those past years. They have an extremely good system of education. I recently attended sport riding 101 and want to thank you for offering such an outstanding curriculum. I would highly recommend this course for riders of all levels. Harry and the coaching staff were brilliant in their attention to detail and passion for making me a better rider. I absolutely loved JP43! The content covered was extremely important and relevant to me as a beginner track rider and racer. JP43 training was fantastic. Learned more than I ever expected. I am a core believer of back to basics and that was exactly what we did. My track days are not more enjoyable and I feel much safer out on the track. I am so glad I chose to attend the clinic prior to attending a track day. It really lowered the stress level and the urge to just go fast which allowed me to focus on technique that in turn made me faster, controlled and smooth. Whether you are new to motorcycling, an avid track day enthusiast or seasoned road racer, Motovid.com Performance Riding Clinics are designed for riders of all levels. Each course designed with a focused curriculum, dynamic structure with on-track exercises and an incredible staff of professional instructors dedicated to the students. Utilizing the Motovid.com Performance Riding Clinic format, riders of all levels can improve their skills, learn safe riding techniques, develop fundamentals and progressively gain confidence and speed on the track from instructors, many of which are proven racers and track champions. Class size is limited to maintain 3:1 student-to-instructor ratio for a highly personalized coaching experience. Each class maintains dedicated classroom lessons with 15 min. on track sessions for drills and exercises per hour. Students receive 5-7 lessons with dedicated classroom time and 5 -7 on track sessions for course exercises. The Motovid.com Instructor Team & Control Staff are highly skilled riders, easily approachable and dedicated individuals. Some of the best riders and accomplished road racers in the midwest, our incredible team is integral to the success and overall experience of our program. Motovid.com instructors are trained riders, teachers, professors and accomplished road race champions at many levels. From MSF instructor accreditation, experience coaching with other national programs, Motovid.com’s staff has a team of diverse and proven individuals dedicated to each students individual growth and overall experience. 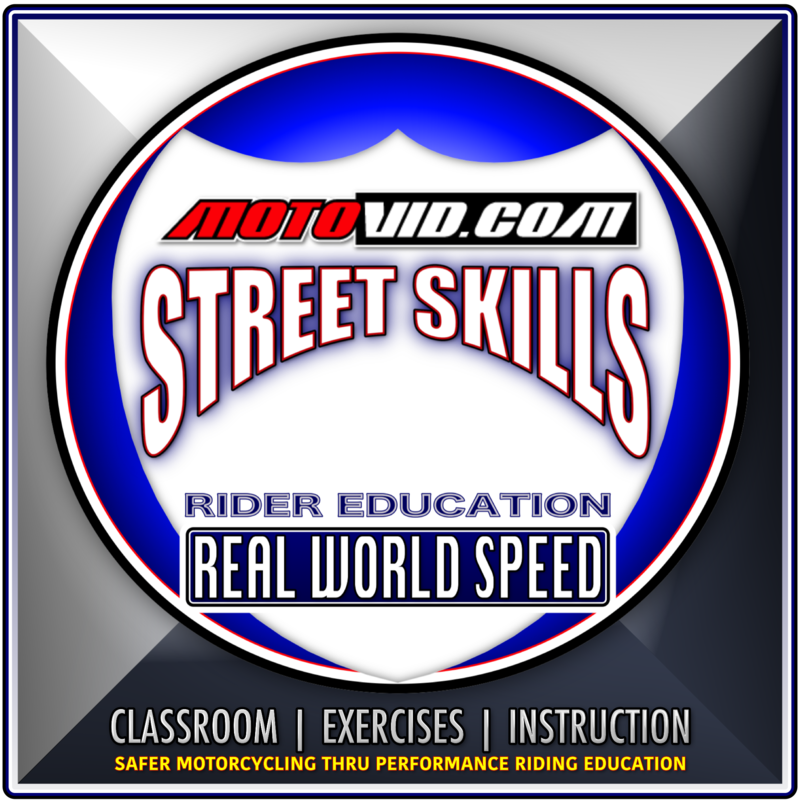 The Motovid.com Street Skills course is designed for licensed street riders of all levels on any motorcycle, providing exercises alongside dedicated classroom curriculum to help riders gain confidence in their motorcycle, improve fundamentals and safe riding techniques @ REAL WORLD SPEED with or without passengers whether on a solo ride or in a group setting. Passengers are welcome and at no additional fee. 6 lessons are taught each day, with riding range sessions for exercises and drills for each. Topics Include: General Safe Riding Procedures, Vision and Perception on the road. Smooth Cornering at speed, including braking, shifting technique. Body position for solo and two up riding. Understand how passengers affect motorcycle handling, adjustments necessary for riding two up. 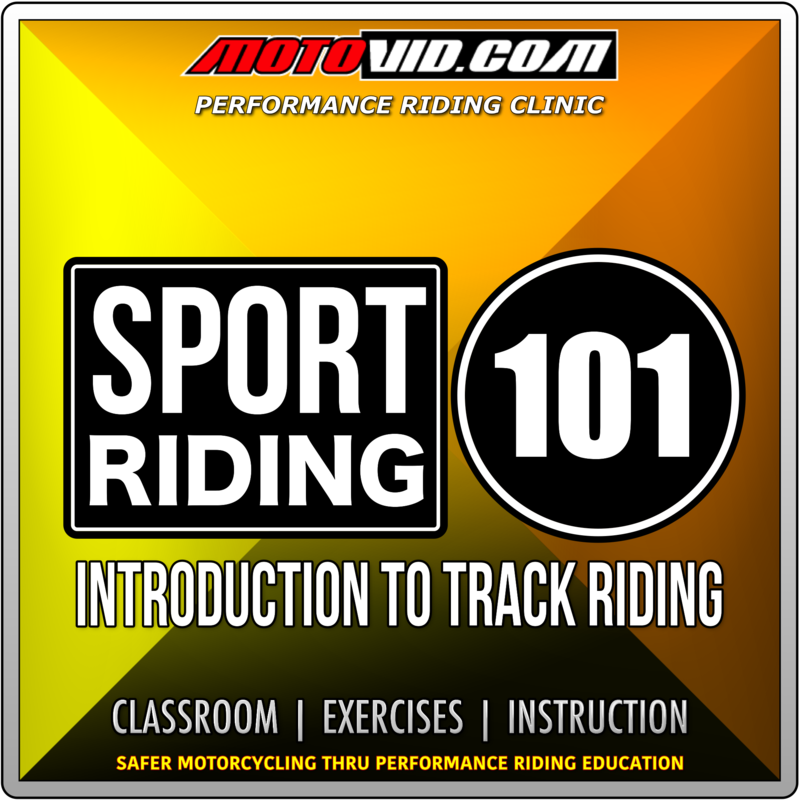 The Sport Riding 101 course is designed for the novice level rider interested in track days, understanding the dynamics of track riding, and improving their street and sport riding skills. Students learn track safety, basic body position, vision, throttle control techniques. Topics include:Understanding the feedback loop, dealing with lean angles at speed, corner entry, braking/shifting techniques and track riding safety. 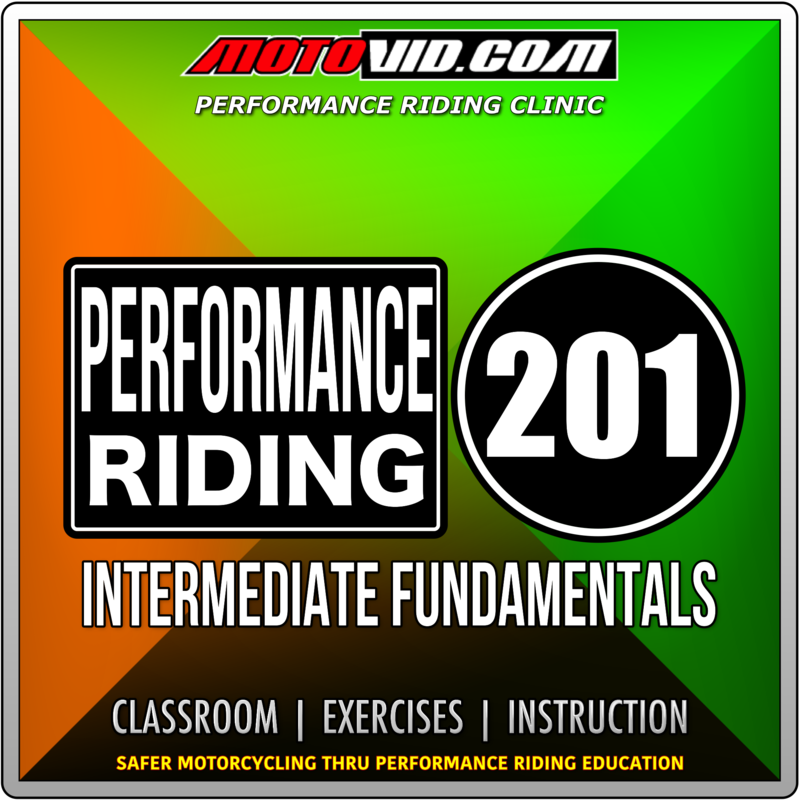 The Performance Riding 201 course is designed for Intermediate riders looking to take their track day riding to the next level; gain confidence, break thru plateaus, make it to the next group, improve pace or simply develop fundamental performance riding skills in a dedicated session with classroom & focused exercises. 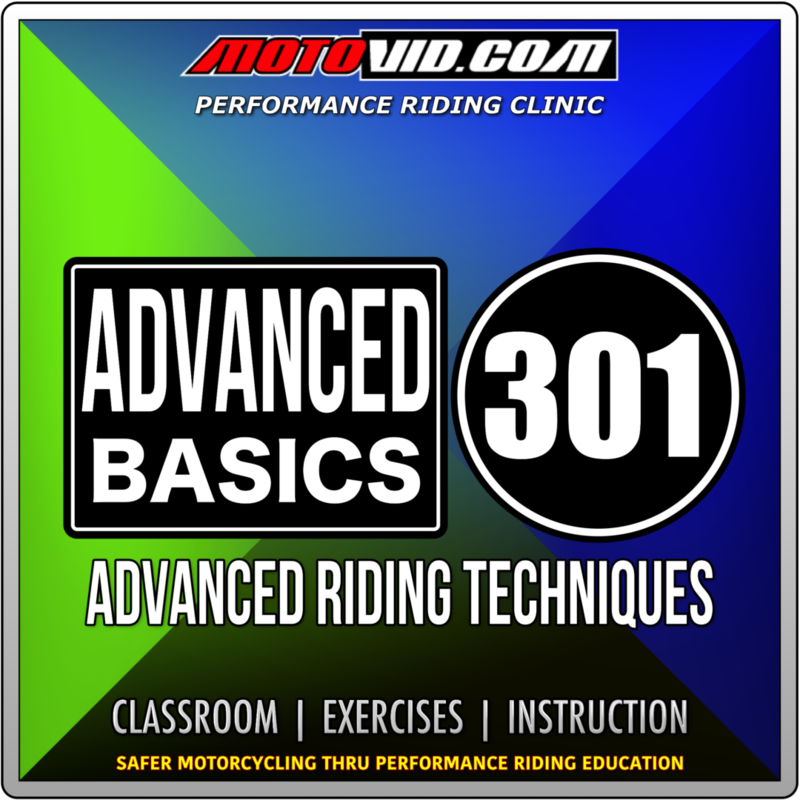 The Advanaced Basics 301 course is designed for Intermediate, Advanced track day riders and club road racers interested in improving advanced performance riding fundamentals with dedicated classroom & specific on track exercises from proven instructors and track champions. Topics include : Awareness / Focus / reference point(s) • Advanced Cornering & Throttle Control Braking technique • Improving feedback communications loop • develop results driven performance training strategies for track days & road racing. Very limited. Track day riders, club racers and race fans; here is your chance to train with FIM World Endurance racer and coach/mentor to many national and international racers; the 1997 AMA 750 Supersport, 2002 AMA Formula Extreme and 2003 FIM World Endurance Champion Jason Pridmore. JP43 Training provides dedicated classroom lessons with on track sessions to perform exercises designed by JP for the dynamic curriculum. JP and his team of guest instructors assist students with each exercise demonstrating the technique and reviewing the results within the class discussion to recap each lesson. Class is very limited.